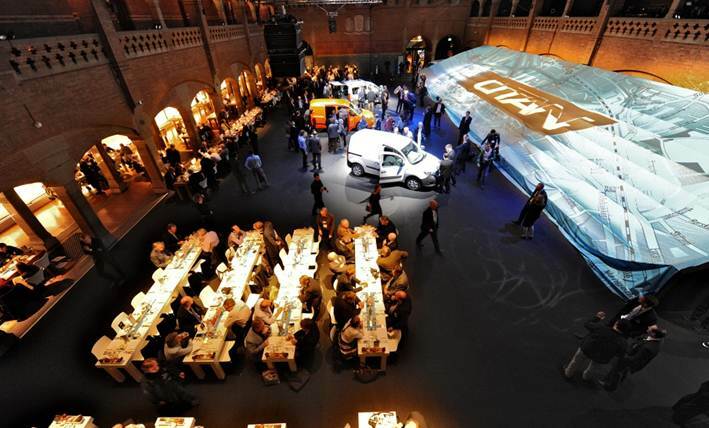 In Amsterdam 400 journalists from all over the world were treated to a first look and touch at the new Mercedes-Benz Citan within the setting of a celebratory evening. 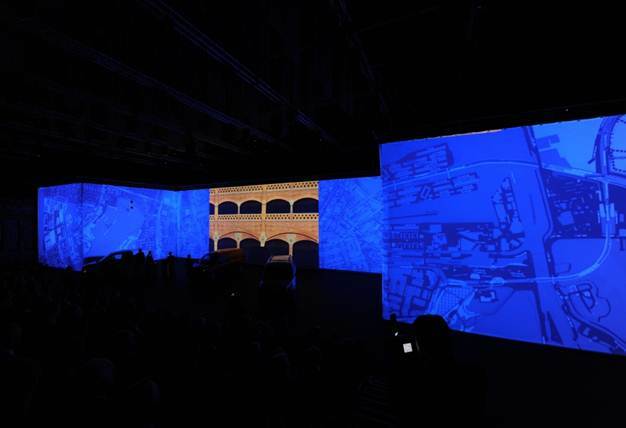 Fitting the urban place of action a location amidst the bustling but tight Amsterdam city was chosen. 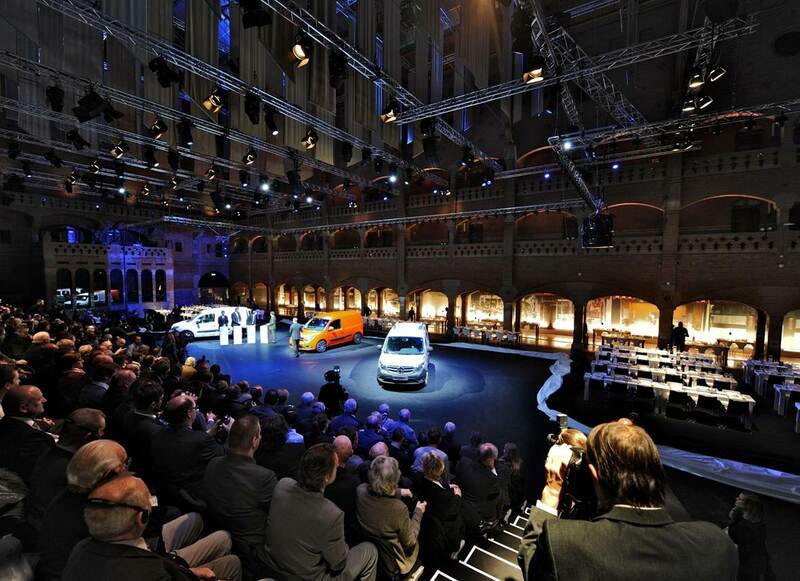 The Beurs van Berlage needed to be used optimally in order to cater to the demands of the press event. 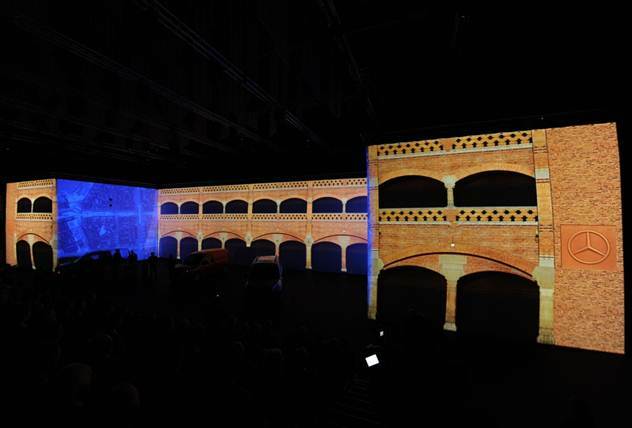 An 8.5m high projection surface was also separating the stage and catering space. 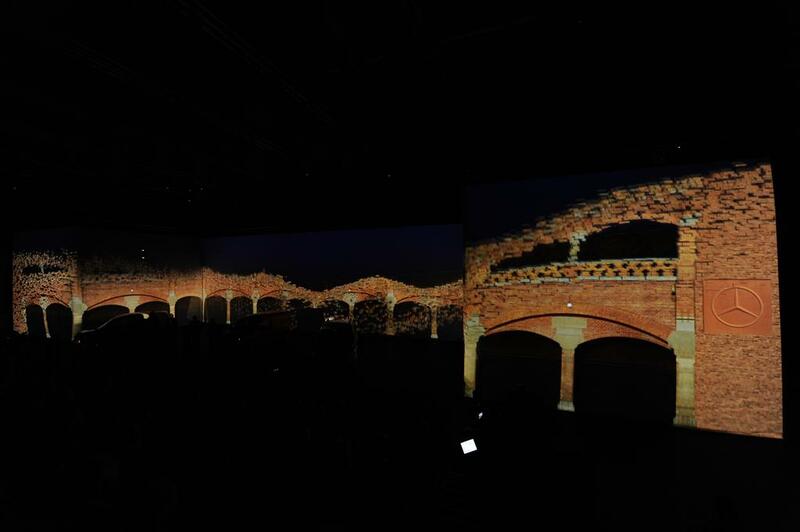 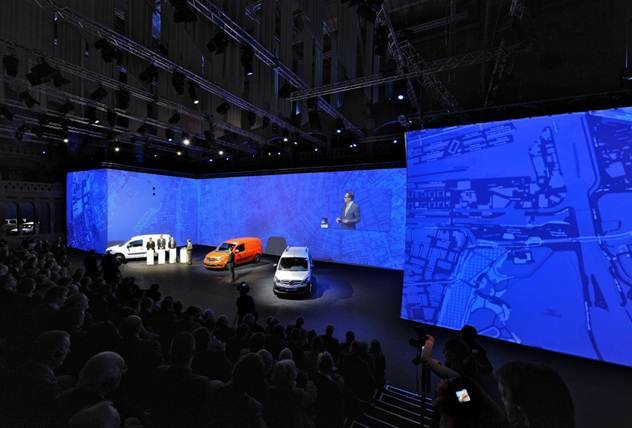 The staged setting of room expansion by usage of kabuki and projection set the stage for car exhibition as well as dinner in the “Grote Zaal”.